There were so many reunions during the recent Chinese New Year celebration that I had practically lost track of what I had consumed for the last 3 days. LOL! In fact, the meals may look simple but the preparations for all the yummy goodies could be real tedious and tiring towards the end of the day. Let’s just look at the simple beverage itself. Most people would just buy those package/can/bottle drinks to serve their guests. 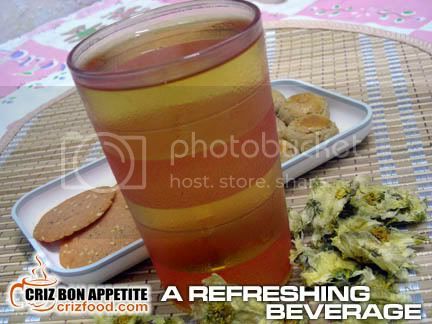 I, on the other hand would brew my own preservative-free beverage to quench the thirst of my guests. Who would resist a drink which would relax the body and purify the blood systems on a hot and humid day? It sounded simple right? Try preparing 20 liters and you would see the amount of sweat dripping furiously down your forehead for the next 3 hours. Haha! The beverage is mainly formulated by boiling with water a combination of special grade and/or first grade of chrysanthemum, honeysuckle, liquorice/licorice roots and minimal sugar. Chrysanthemum can be remedies for anti-inflammatory, antipyretic, antihypertensive, clears heat, disperses wind, soothes the liver and improves vision. Honeysuckle can clear heat, detoxify, detumescence, improves vision, evacuate chill, cure hot poisonous swollen disease, ache subcutaneous ulcer, hot warm disease, blood dysentery, haemorrhoids, throat aching and fever caused by internal hot or external infection, etc. Liquorice roots are commonly used in herbal formulae to relieve a spasmodic cough, to prevent cavities and to treat canker sores or ulcers. My family reunion dinner has since switched to steamboat gathering for quite a few years already as it would at least ease my Mum from cooking up too many delicious dishes which would require days of preparations. Well, preparing steamboat dinner could be real tedious as well… for me. It would start from the “simple task” of buying of all the fish and meat balls, seafood, vegetables, boiling of stock and arranging the many varieties of items on small serving dishes. By the end of the day, I was even too exhausted to eat, needless to say to shoot too many photos of the annual event. Just to summarize everything, we had 20 types of fish and meat balls, tofu, mushrooms, chicken meat, pomfret, prawns, cuttlefish, sea cucumber, fish bladder, 3 types of vegetables and spinach noodles and all of them subsequently ended up in a hot pot of gelatin filled chicken/pork bones stock. There were a few of the fish balls that would be worth mentioning here. One of them caught the attention of all my family members. “Gosh! Are you going to ask us to eat that disgusting brain-like thing?” Seriously, the way the fish balls were produced, they do look like brains from one angle. If you display it the other way, they looked like cute flower blooms. The fish balls came in two flavors, plain and spinach flavored. In fact, they were not as flavorful as I had expected. They would surely be out from my list next year. 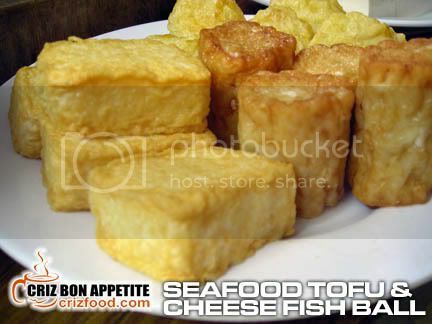 Another two worth mentioning would be the seafood tofu and cheese fish balls. The seafood tofu pieces were smooth inside with some blended seafood and the cheese fish balls had creamy cheese oozing out with every mouthful. That was part of my family reunion dinner on Chinese New Year eve as I do not have more photos to share due to exhaustion. The first day of Chinese New Year went on with the usual visiting to my relatives’ houses. How I wished if not for the economy downturn this year, I would have collected more $$ in the ang pows (red packets). LOL! Well the next reunion was with Mother Nature. 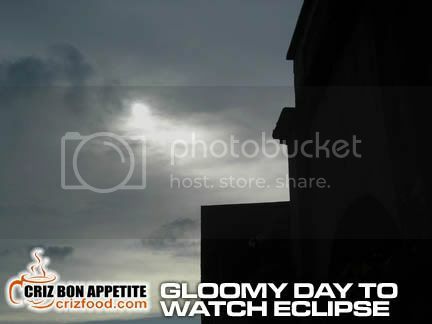 Coincidentally, the first solar eclipse of 2009 fell on the first day of Chinese New Year, 26 January 2009, between 4.30pm and 7.00pm and Malaysians were to be able to watch the eclipse partially. With the bad gloomy weather and clouds of dark clouds floating about, it was a disappointment. All I caught was a patch of sunlight hidden behind some gloomy clouds. Let’s hope I would not miss it again this coming 22 July 2009, where it would be the longest total solar eclipse (almost 6 minutes) of the 21st century in Anji (near Hangzhou and Shanghai), China. Malaysians would be able to watch it partially from 10.34am. The night was another reunion with my Singapore friends. 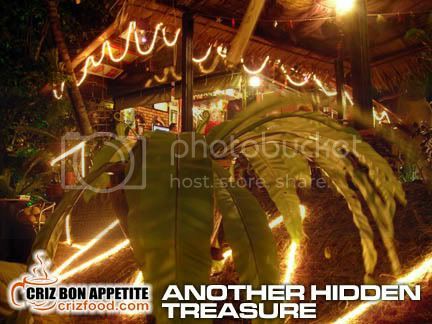 It was at another hidden treasure on Penang island itself with cool breeze and nice soothing background music which brought back many fond memories. I won’t touch on that at the moment but you could have a glimpse on how beautiful the place was. The second day of Chinese New was another yearly reunion at my aunt’s place with beautifully cooked and rich flavored dishes to yearn for. Being a part of my demise grandmother who was a great cook, my aunt had learned a lot in pepping up great dishes to make everyone craving for more. The first dish was very local – Fried Belacan Chicken (Shrimp Paste Fried Chicken). In fact, this dish is very famous in the Northern part of Malaysia. I would share the recipe in another post. 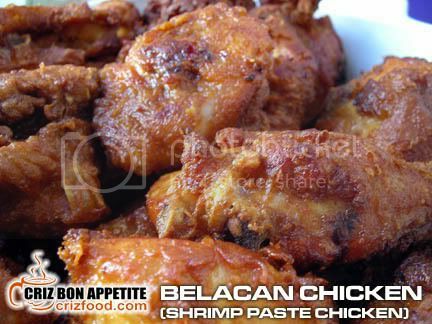 The secret to this recipe is that the chicken had to be marinated with the specific amount of shrimp paste in order not to have the overpowering taste and smell. Secondly, the marinated pieces would have to be fired in high heat to get the crunchiness on the surface while maintaining the juiciness of the meat. 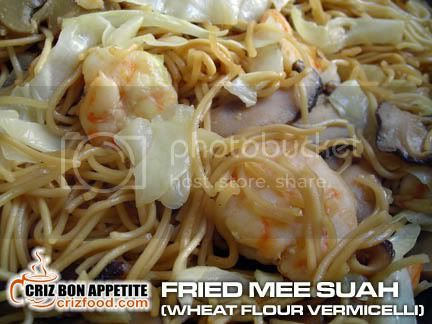 The next dish may look simple but it has the fragrance from the specially prepared fried wheat vermicelli (mee suah). It has cabbages, Chinese mushrooms, button mushrooms and large prawns in it. It was a hit amongst my family. 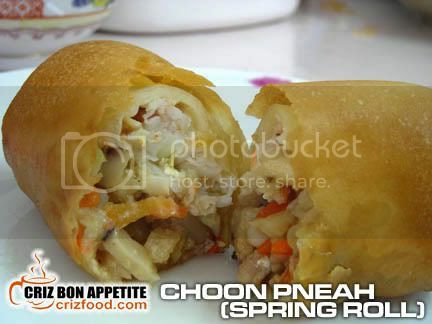 Choon Pneah or Spring Rolls was next. The process to prepare this crunchy dish was indeed very time consuming as it involved a lot of delicate work of chopping, cutting, mincing and frying of the filling before being wrapped together with fresh crabmeat in square spring roll skins. These would then be oil fried until golden. You could image how long it would take to extract the meat from the steamed crabs too. We had two of these spring rolls each as they were too delicious. Even the special sauce served with the spring rolls was specially prepared by brewing special soy sauce with mustard powder and accompanied by cut red chilies. Now you should know why they charged so much for each roll in restaurants. Haha! Here’s a glimpse of how the filling and unfried spring rolls looked like prior to frying. There was also a bowl of very richly cooked soup for everyone. The stock itself was boiled for hours using more than 6kg of rib bones. 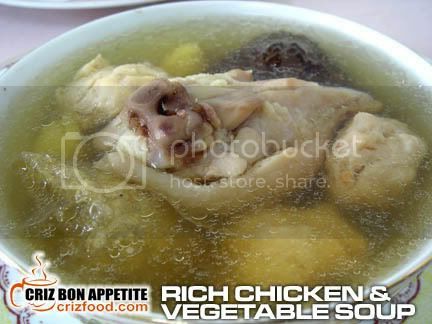 The stock was later filtered and boiled with choice chicken drumstick pieces, together with carrots, jicama slices, mushrooms, ginkgo nuts, fish bladder and served with steamed meatballs. Every single spoonful of the rich tasty soup left a sticky sensation to our lips. It was indeed the greatest soup I had in ages. 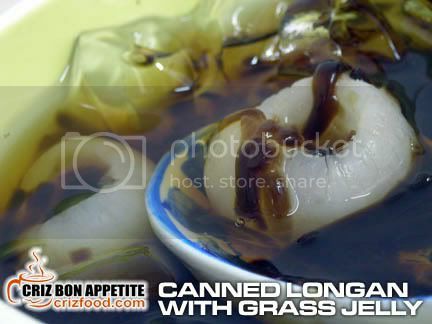 As the meal came to the end, we had a simple yet fulfilling dessert – Canned Longan served with Shaved Grass Jelly and ice cubes. I would surely look forward to the next gathering at my aunt’s place next year. I wondered what else she would cook up next. After all the feasting during this festive season, I guessed I would have to go for more exercises. Now I know why some of the food bloggers were so busy this season as most of then were so engrossed in eating and having the fiesta of their lifetime… LOL! Good to know you’ve been feasting properly through this season! Just as any self-respecting foodie would! That spring roll looks packed with flavour! Gong Xi Fa Cai to you and your family! gong Hei Gong hei!! coming to KL anytime soon or not??? It would be a while more before I will share the recipe. Need to go on diet first after all the feasting… hehe 😛 Err… I don’t think I would drop by KL so soon. I’ll need to find more time first. They are still a few celebrities’ cafes I have yet to visit there.. haha. 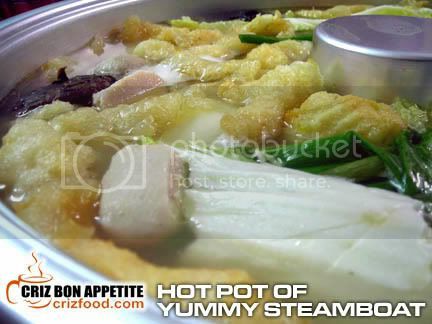 Aiyoo……..i love steamboat!!! But Hub’s family way TOO big to have that for reunion. We instead ordered one whole roasted pig and have it for reunion. Very barbaric style…everyone tearing and shredding from the whole pig! Burp! 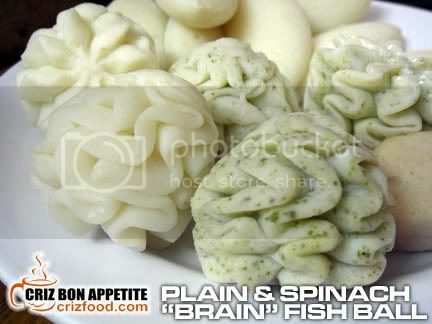 That fishballs really look like ‘brain’ structure. That soup I like!